Through Jan 2. 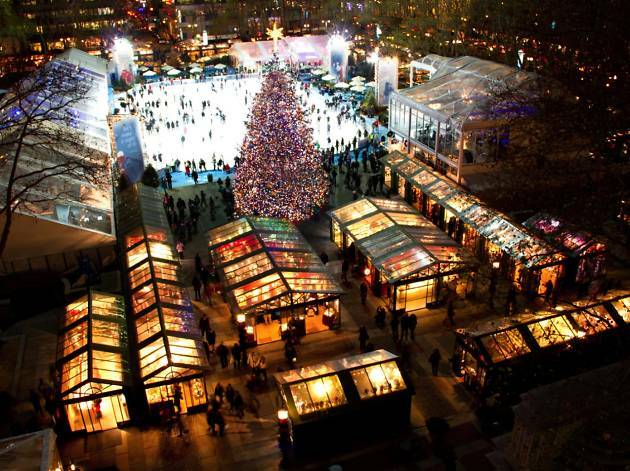 Peruse more than 125 kiosks at the ninth annual, open-air holiday market at Bryant Park. Great shops and a cool vibe. Fun after dark, too! But don't expect thrift-store prices. I give it one star just bc of the soup-guy selling heated canned crushed tomatoes as "tomatosoup" for 10 USD. That's the kind of christmas spirit we're looking for. 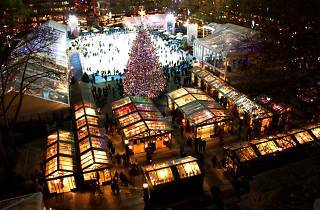 Take your eggnog to go and head to the Holiday Shops at Bryant Park for a wonderful holiday treat. From buying chocolates to admiring the different shops this is one of my favorite holiday things to do in the city and its free. Want a little adventure to end the night get a pair of skates and hit the iceskating rink. Don't forget to kiss under the mistletoe.